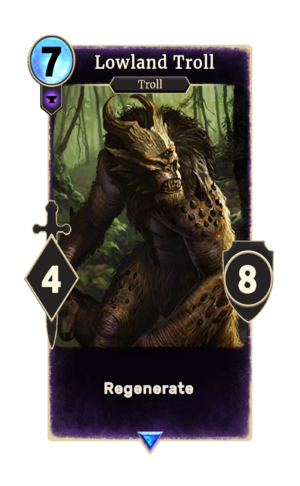 Lowland Troll is a rare Endurance creature card. It is part of the Core Set. Trolls have appeared in nearly every Elder Scrolls game since Arena. This page was last modified on 24 September 2018, at 22:58.